Green smoothies are extremely quick and convenient to make while providing the daily nutrition for your body. The key to making a good green smoothie is quality ingredients and a trustable blender. You need to make sure that the green ingredients are free from harsh chemicals that can be found in some forms of farming if possible organic greens are the best. The main importance is to wash the greens with lots of water, this makes sure that any particles that might come from the growing and delivery process do not enter your body. A good blender needs to be able to grind up the greens to a fine smoothie while being able to last through time and is easy to clean, these are the qualities found in best blenders. Other factors that a good blender holds is a reliable motor that won’t give up on you, a container made from food grade plastic or glass that can withstand pressure from the inside, strong stainless steel blades, and more. In this article, we have gathered the top 5 best blenders designed to make the perfect green smoothie that will help improve your overall health drastically. The blenders selected in this article has been researched thoroughly where we will provide comparative details that will help you decide the blender that is right for you. We recommend that if you are specifically looking for a blender that will be used for making smoothies only and maybe some light soup then the AAOBOSI Smoothie blender and the NutriBullet Nutriblast Blender is perfect for you. 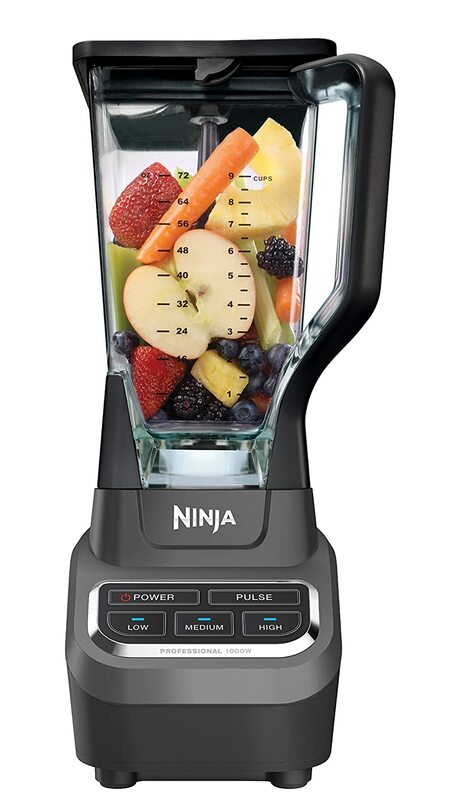 For a blender that is professional grade with super strong blades and holds large volumes of ingredients the Blendtec,Ninja, and Vitamix blenders are perfect for you as they can blend practically anything you throw at them with effortless motor power. The decision is now up to you on which blender you prefer along with the price points that you are comfortable with. The Blendtec classic blender comes with a four sided 75oz jar that is suited for both drinks and food blending. The motor inside is a professional grade powered blender with 6 blending programs to choose from and up to 10 different speed settings. The blender can be used for both wet and dry food as it comes with a professional grade motor perfect for even the roughest foods including coffee beans. The 6 pre-programmed cycles are specially designed by professionals to be the best settings for different types of foods and recipes. The pre-programs include 1. Smoothie, 2. Batters, 3. Hot Soup, 4. Whole Juice, 5. Ice Cream, and 6. Ice Crush. The design is a classic black with silver decorating and a simple digital screen perfect for the modern kitchen. Blendtec states that their 2 sided blade is 80% thicker than other blades, this promises strong blending with blades that will last through time. 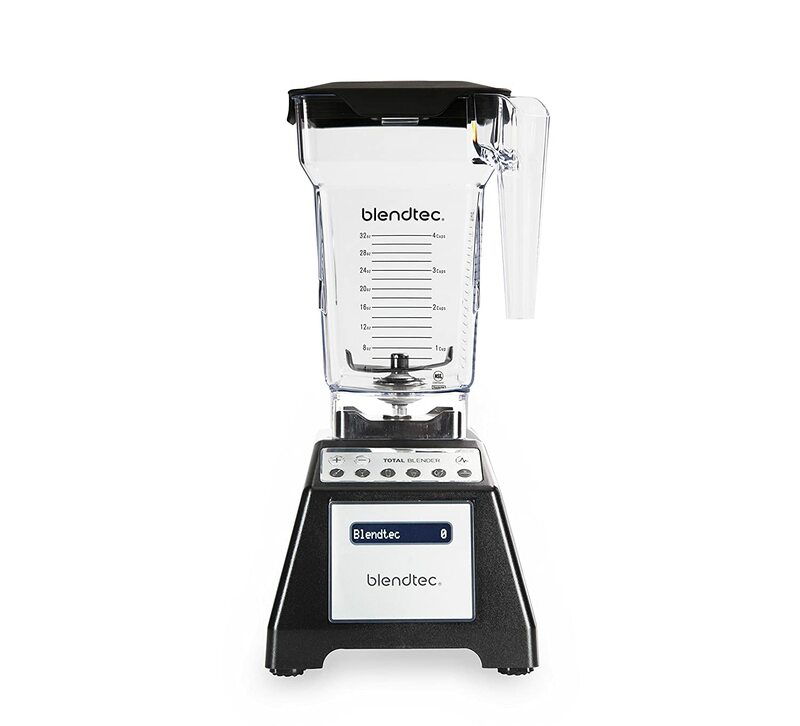 Unique quality: The Blendtec classic comes with a thick stainless-steel blade with an average of being 10 times stronger than the average blades found in the market, making it one of the best blenders. This blender is designed especially to blend smoothies and shakes. The blender is able to quickly blend even the toughest greens in less than 1 minute. The blades are so strong it can crush ice to a smooth blend in 30 seconds with 6 stainless steel blades. There are 4 programmes to choose from designed to give different results to your glass of healthy nutrients and sweet desserts of the day, 1. Smoothie mode, 2. Juice mode, 3. Stir mode, and 5, Ice cream mode. There is also a DIY mode that allows you to manually set the speed of the motor and the timer for precise blending. Unique Quality: Touch screen control with a recipe book included. The NutriBullet is a blender designed for convenience and effortless blending. It comes with 2 blades and 3 different blending jars to choose from. 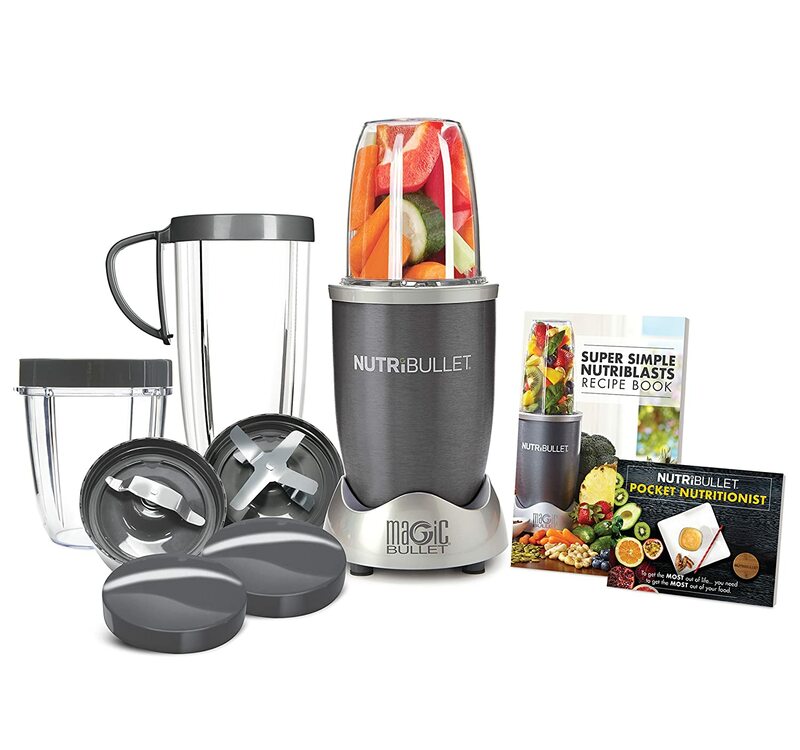 The NutriBullet is designed to be used in blending smoothies with soft fruit and vegetables including protein shakes. The stainless steel blades perform in a cyclonic action when the motor is turned on. The blender comes with a pocket nutritionist that comes with multiple recipes designed by a team of specialists for delicious yet healthy smoothies and light soups. The NutriBullet is one of the most reviewed products on Amazon with over 8,000 reviews and an average of 4/5 stars. Most of the reviews mentioned how the NutriBullet is extremely powerful for a 600W machine. The machine is extremely easy to use and fits well with smoothie jars from other brands, giving a versatile use to the everyday smoothie life. Although the NutriBullet is not suited to blending rougher jobs such as peanut butter as the machine is specially designed to blend fruits and vegetables into healthy smoothie drinks. Unique Quality: The design is extremely efficient as the jar can be used as your cup to-go straight from the blender. This Ninja blender is a professional blender designed to crush anything inside it. The company has put in a special total crushing technology into the blender that is able to blend ice and fruits into a smoothie in just a few seconds. The blender comes in a modern design that will give your kitchen the beauty it deserves without looking bulky and boring. 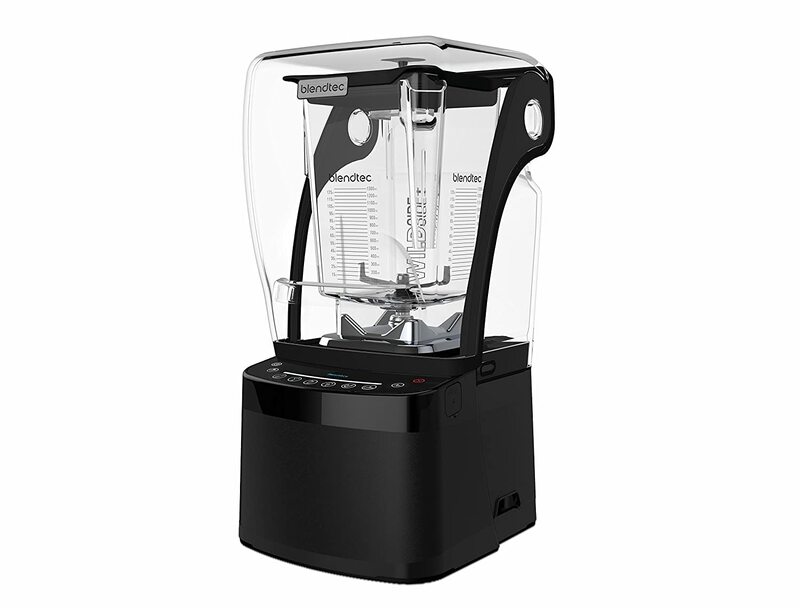 The blender comes with a 1000W motor in the base while being sturdy enough to not move around the counter while in use. Ice can be so finely blended in this blender that it resembles snow, for those who love a cold cup of healthy smoothie in the summer. With the powerful blending ability, the blender can also be used for other purposes such as blending dessert ingredients and blending even vegetables with strong fibers for cooking. The stainless steel blender comes with 6 strong blades for extra fast and powerful blending designed for the busy working lifestyle. Unique quality: A professional grade blender than is cheaper than most smoothie blenders on the market. Vitamix is a big and famous name in the blender community, both for professional use and home users. 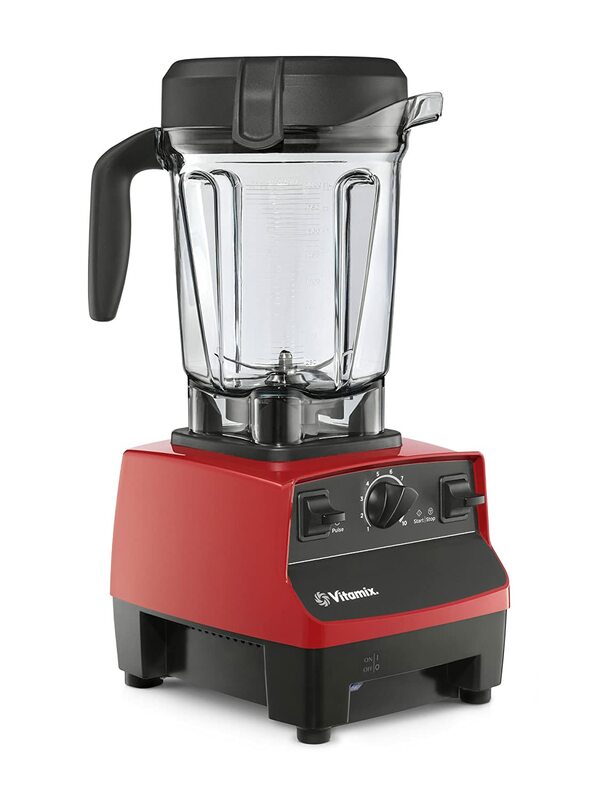 This specific Vitamix 5300 Blender is a professional grade but also perfect for home use as it comes with a 64 oz low profile container and variable speed control for maximum functionality to be used for both drinks and food menus. Vitamix blenders often come with a heavy price tag due to the high-quality standard and some models can go up to almost 1,000 USD. 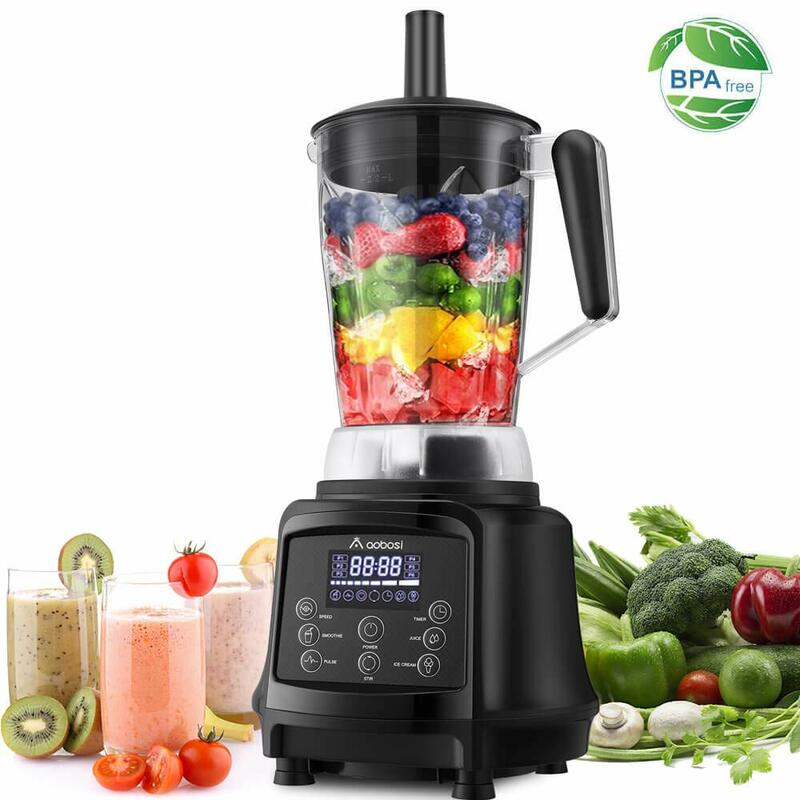 This model is one of the more consumer-friendly priced models and is also one of the most iconic blenders around with the black and red base with a turner in the middle of the base with switches on both sides for controlling the speed and timing of the blender. The blade in this model is an aircraft grade stainless steel that is much stronger than normal kitchen grade stainless steel. There are about 12 specific designs that go into these small blades in the Vitamix blender, the tiny details is why Vitamix blenders have always been one of the best blenders in the market. The motor is designed with a cool mode design that protects the blender from overheating even if it is used for a continuous period of time. This blender also comes with a special mode to warm up soup in under 10 minutes, thanks to the power of the strong stainless steel blades. Even Though the blades can be used to automatically warm up soup, when filled with ice and fruits the blades can create ice cream in less than a minute. The blades on the Vitamix is so strong it can be used to mix even thick dough used in baking, such as cookie dough, muffin dough, pizza dough, and more. This blender helps eliminate the worries of cleaning out those hard to reach spots in the blades and in the bottom of the container with a self-cleaning mode in less than 60 seconds. Unique quality: Very reliable machine with the ability to blend from light soups to heavy cooking dough.